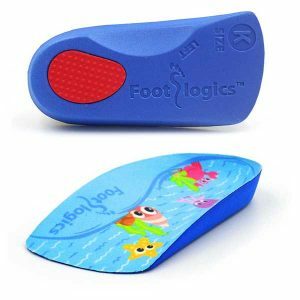 Foot pain is not only limited to grown-ups. Often, healthy and active children will complain of pain in one or both heels shortly after running, engaging in sports or even walking. The pain is centered at the back of, or under the heel. The cause of heel pain in children is usually a condition called calcaneal apophysitis, or Sever’s disease, normally reported by 8 to 14 year olds. Heel pain is very common in children because of the very nature of their growing feet and legs. In children, the heel bone (the calcaneus) is not fully developed until the age of 14 or older. Until then, new bone is forming at the growth plate of the foot (the apophysis, located at the back of the heel), an area which is softer than others due to its role in accommodating the growth. Repetitive stress on the growth plate due to walking, running and sports causes inflammation in the heel area. Because the heel’s growth plate is sensitive, repeated running and pounding on hard surfaces can result in pediatric heel pain. Children and adolescents involved in football, soccer, running or basketball are especially vulnerable. 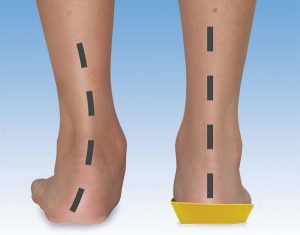 Over-pronation (fallen arches and rolling inwards of the feet) will increase the stress on the growth plate and is therefore a significant cause and a major contributing factor to heel pain in children. Rest, reduce activity: your child should reduce or stop any activity that causes pain, such as sports and running. This can be a difficult option, as children are normally quite wilful in pursuit of their favourite pastimes. Make sure your child does stretching exercises before play. 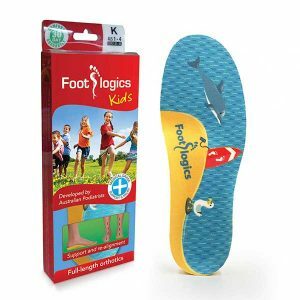 This will often help reduce the stress on the fascia and relieve heel pain in your child. 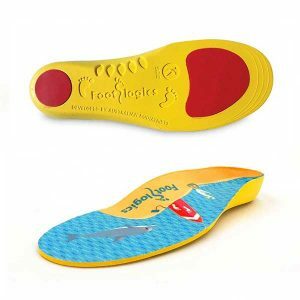 Orthotic insoles. 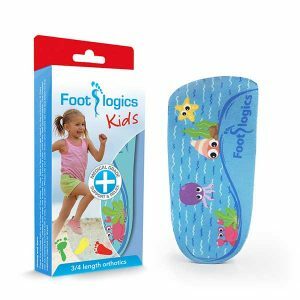 Footlogics Kids orthotics made for children will help support the foot properly, and help prevent over-pronation or improper gait by supporting your child’s foot into a proper biomechanical position. 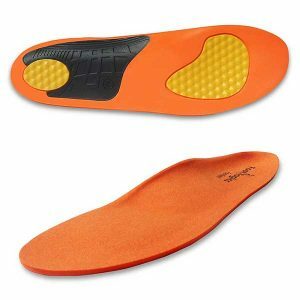 Full-length flexible orthotic insoles designed to fit football/soccer boots. 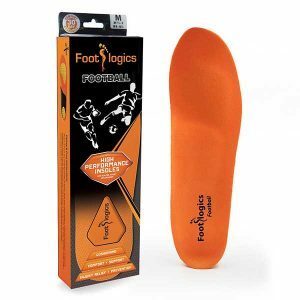 Helps with the relief of heel pain and ball of foot pain.